← No I am not at war…. I continue to have a dream! 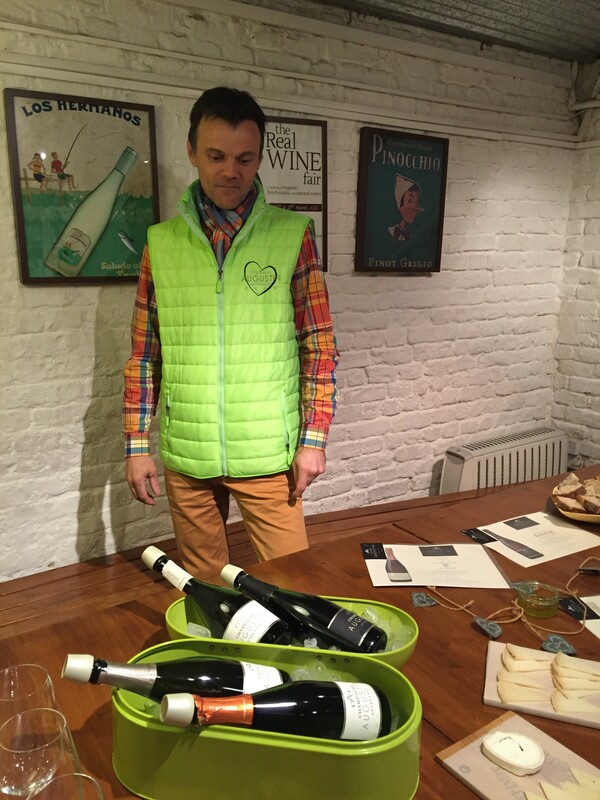 Last week I was in London helping Marc Augustin to introduce his bioenergetic Champagnes into the UK market. In order to gather a bit of interest for his wines we had invited a handful of writers and Champagne aficionados to come and taste his Champagnes and talk about bioenergy over an apero at Dvine Cellars. We were both surprised to find out that bioenergetics is still very much uncharted territory for most of the wine world as nobody seemed to have heard of it. Strange as it may be, especially if we look at the organic and biodynamic numbers of the region, it looks that Champagne is actually at the forefront of this movement with 5 producers working according to the bioenergetic principles. So what is Bioenerergetics? According to the free dictionary Bioenergetics is “the study of the flow and transformation of energy in and between living organisms and between living organisms and their environment.“ Translated in vineyard/winemaking terms this means the energy from the soil, vine and fruit is conserved during the pressing and winemaking process, so we find it back into the glass. The idea is to capture all the goodness of the terroir and mutate this into a pure terroir wine which infuses us with the same goodness coming from nature; a wine with an almost healing energy. If we look at a bigger picture, we know that everything consists of energy, and that we are effected by whatever energy we mix with. In more scientific terms, according to the laws of quantum physics everything is energy in motion; all material can be broken down to quarks and gluons which are probably easiest described as waves or vibration. Everything in this universe has its own unique vibrational frequency and the law of vibration teaches us that we attract what we are sending out. In other words, positive vibrations attract positive vibrations. The practice of bioenergetics aims to re-balance the energy body to remove disease and heal the physical body, by redirecting the excess energy to places where it is needed. It has been primarily developed in the world of alternative medicine in the last 15 years, even if it has been around for thousands of years in eastern cultures (think Quigong). In wine, the redirecting happens in the vineyard and in the winery. In Champagne, the forefathers are without a doubt Franck Pascal and Hervé Jestin, who have been working together since 2005, to develop a protocol for bioenergetic winemaking. Franck and Isabelle Pascal as well as Herve have trained in bioenergetic healing and are qualified practitioners. Applying the energy redistribution procedure at different moments in the transformation process from grape to must and from must to wine has allowed them to make very stable wines without the use of sulfites. Franck Pascal’s resulting Pacifience and Sérénité cuvees, both released in 2014, are mind blowing. This has probably a lot to do with the fact that Franck converted his whole domain to biodynamic farming in 2004 as well as the bioenergetic work. 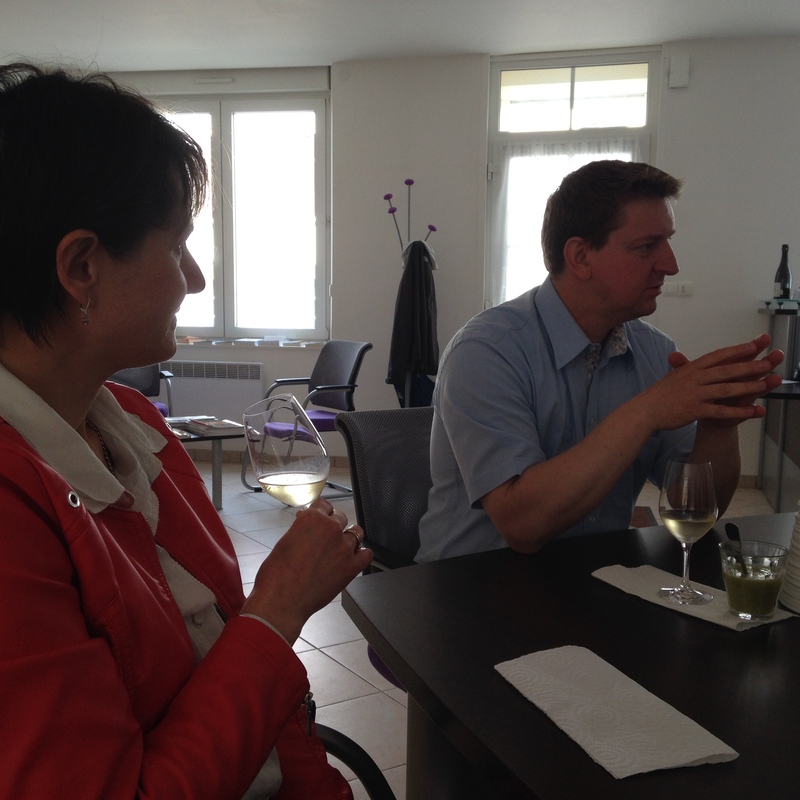 In 2013 Franck and Isabelle took the bioenergy method one step further by using the same principles in the vineyard. The result has been the purest, richest, most energy filled Champagne must and vins clairs I have ever tasted. In 2013, Marc Augustin also decided to work according to the bioenergetic principles. Marc had converted to organic growing in 2012 and like Franck found his way to bioenergetics via the medical path his wife chose in 2012. However Marc opted to work according to the rules of Homsham (a sensitivity driven way of homeopathy, practiced in a bio-modular way, without chemicals or machines) with the help of geobiologist Alan Gauda in the vineyard and Hervé in the winery. More info can be found in this preview of Marc’s profile for my terroir champagne book,which will come out next month. 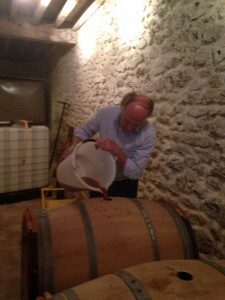 Hervé Jestin also has been making bioenergetic cuvees from 2006 onward. From 2006 till 2012 he produced the cuvee Jestin, a blend of organic and biodynamic grapes purchased from Vincent Laval and David Léclapart and from 2007 onward also some grapes from Benoit Lahaye. He made the wine together with Benoit Marguet, who is selling the same cuvee under the Sapience name after the partnership broke up in 2013. In the light of this brief bioenergetic champagne history, I have always very much seen this wine as one of Hervé’s creations, especially since I have not resonated with the 2014 or 2015 vins clairs. This is maybe because Benoit Marguet has been applying Hervé’s formula without the help from a person qualified in energy channeling and the energy has not quite balanced the way we would expect it. Two other producers have also been experimenting with bioenergetic grape growing and winemaking: Stephane Hardy, who is bottling his first bioenergetic cuvees later this year, and Eric Schreiber, one of the three biodynamic pioneers of the Champagne region. Both Eric and Stephane have worked with geobiologists in the vineyard; Since 2008 Eric has also been working closely with Hervé in bioenergetic winemaking whilst developing his cuvee Astral (the same cuvee as Fleury’s Sonate but with a dosage of 3.5 g/l), without added sulphur. 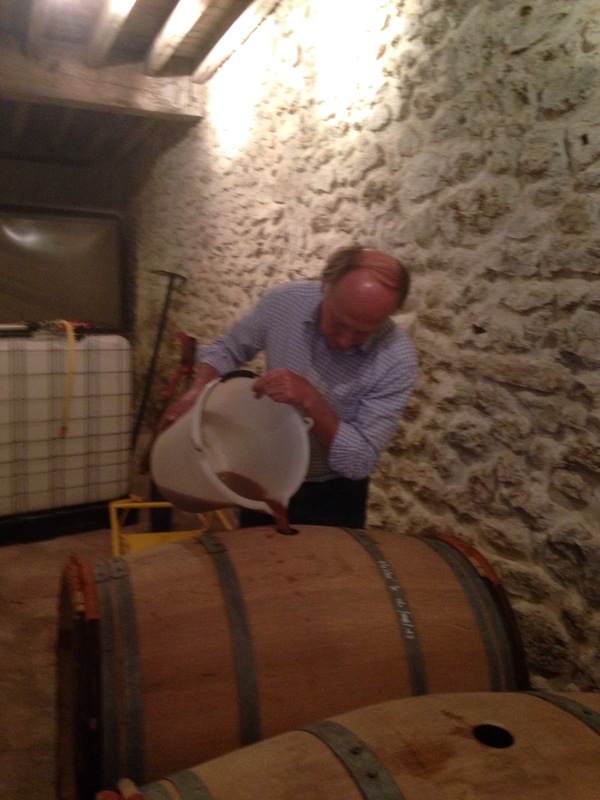 Stephane has been advised by his uncle, the original organic oenologist and Quigong trainer Georges Hardy. This entry was posted in bioenergy, Caroline's Champagne, Champagne, terroir and tagged biodynamic, bioenergetic, bioenergetics, bioenergy, Champagne, Eric Schreiber, Franck Pascal, Hervé Jestin, Marc Augustin, Stephane Hardy, Terroir. Bookmark the permalink.